488. Screw propeller. 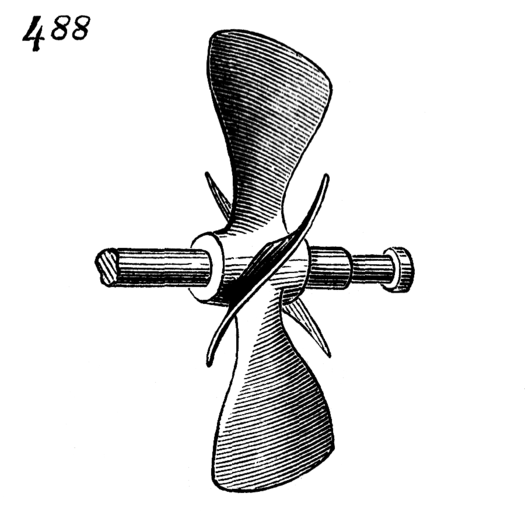 The blades are sections of a screw-thread, and their revolution in the water has the same effect as the working of a screw in a nut, producing motion in the direction of the axis and so propelling the vessel.